Scoliosis, or curved spine, is a frustrating condition to deal with since it progresses over time. At Renova Medical Center we have considerable experience helping patients of all ages mitigate the negative impact of scoliosis on their lives. Through care that addresses overall spinal health, we help patients in Springfield, Missouri, function better and live pain-free. To learn more, call or book an appointment online. Scoliosis is progressive, especially in children, as the curvature worsens over time. Thankfully, 90% of scoliosis cases are mild, making any curvature higher than that fairly uncommon. These complications are rare since only 10% of scoliosis cases are considered severe. How can chiropractic care help scoliosis? There’s no cure for scoliosis, but we can provide several treatments that promote your spinal health, helping you to avoid complications from the condition. The most important tool in Renova Medical Center’s arsenal is our X-ray tool. Through imaging, we can diagnose the extent of your scoliosis and mark progress and improvement in your spine’s alignment. By overlaying the X-rays with images of a normal spine, we zeroe in on your problem areas and targets treatment. This method is called image-based mirroring, and it provides us with a diagram to improve your spinal health. Once we pinpoints the problem areas, he sets to work to manipulate your spine gently and correct any misalignments. These adjustments allow you to function and heal better because they open up blocked systems in your body. We also recommends valuable at-home care and exercises to help with your alignment, which encompasses not only your spine but all of the supporting tissue surrounding it. 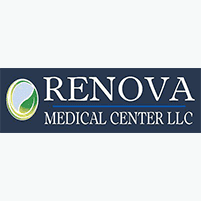 By ensuring that all of your systems are working toward better alignment, Renova Medical Center can make a positive impact on your overall health. To learn more about scoliosis care, call or book an appointment online.